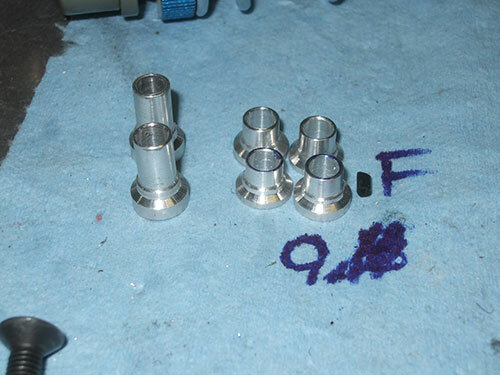 This is the third set of front/ rear camber links and turnbuckles I made for the Losi 5ive. For the most part they are similar to the other two. 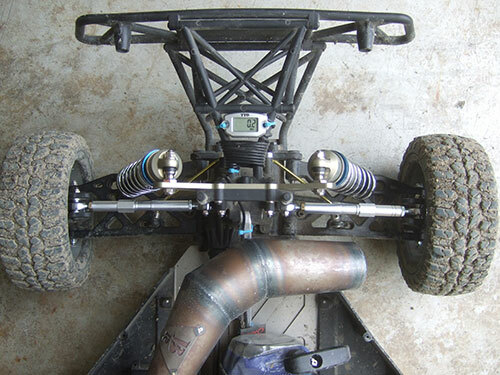 The only major difference is the rear camber links. 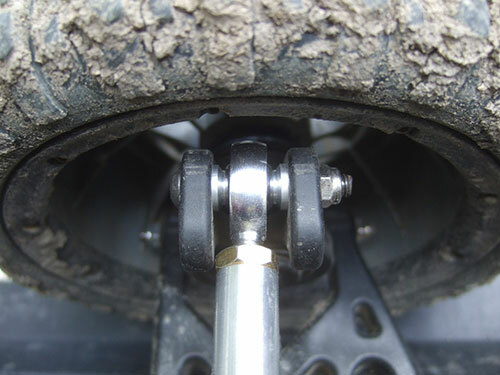 Because of the larger diameter of the links the rear spring may rub or contact the links. That is why there is extra material removed for the link to clearance that issue. However, I still had some slight rubbing when I used a Outerwears shock cover that eventually wore out and cause it to tear open a hole. This time around I made the inner standoff with extra offset to push the camber links out a little more. 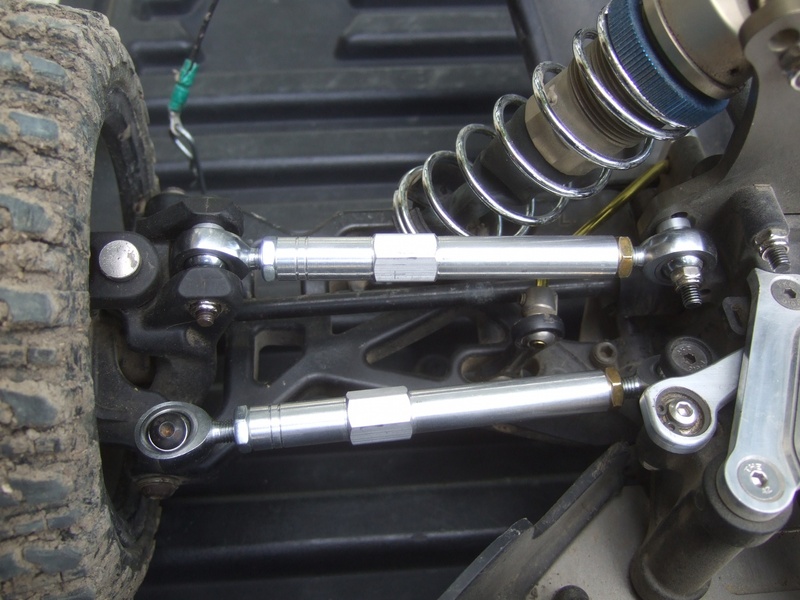 Here are all the stand off I made for the 3 sets of linkages: Front, Steering, and Rear. 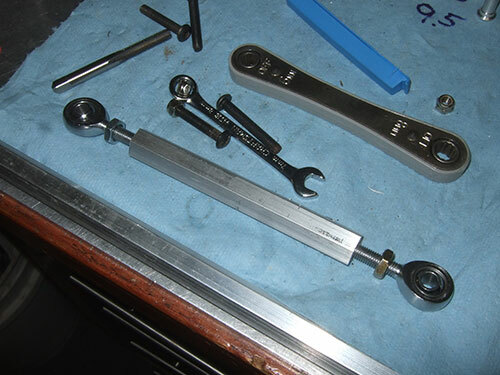 The larger stand off on the right is the modification I made to give the linkage more clearance. Here you can compare the difference between rear and font standoff. The image below shows you how it would normail look like. And the image above shows how I made it larger. 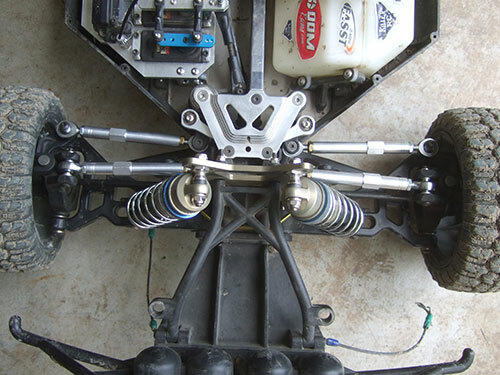 Test fitting the length of the linkages. I did not write down the lenght the last time I built it, so now I have to test it again. 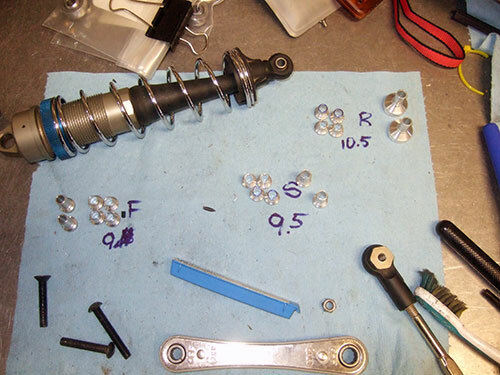 Here are all the linkages cut to length, but not cleaned up or machined. Only the one to the far right is finished. 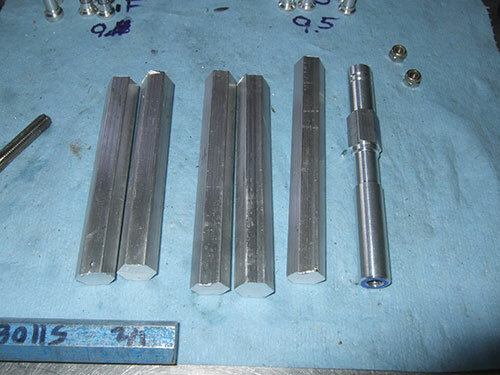 I am using 1/2 6061 Hex bars to make the linkages. 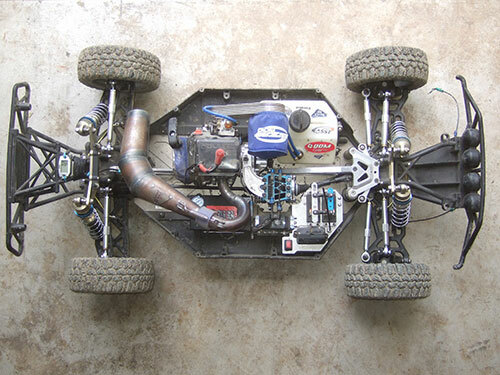 Here is the finished product mounted to the Losi 5ive. 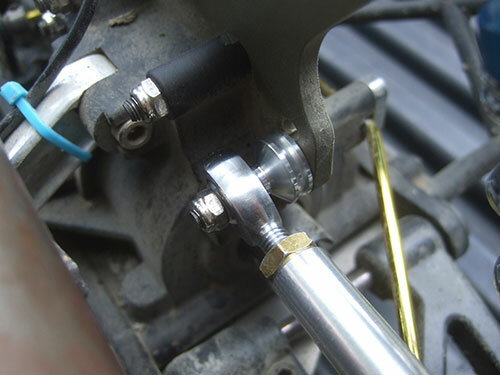 Close up of the modified standoff for the rear camber linkage. 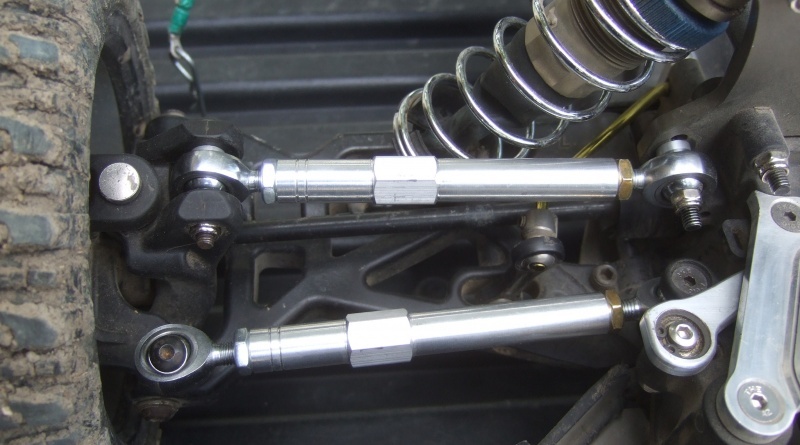 Close up of the other end of the rear camber linkage. Closer view of the front steering and camber linkage. I got the idea from IRP but I did not want to pay so much for them so I made my own. Basically what I made is equivalent to the IRP links with the basher rod ends. 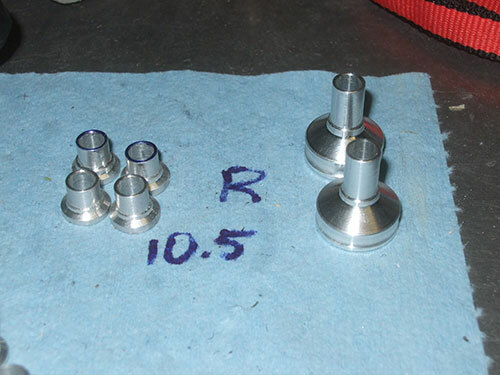 The upgraded “basher” rod ends sell for $15 each and you can get them $4.50 directly from the manufacture. 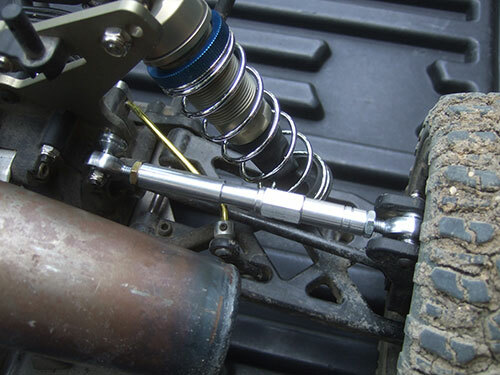 Here a link to IRP’s Camber Links and Turnbuckles.